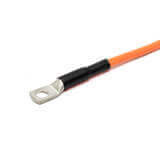 Sealing and protecting wire and cable connections with heat shrink and cold shrink splice-sealing products. 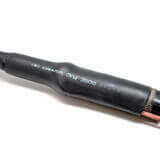 Designed to reduce field installation time and improve installation effectiveness in the electric utility, industrial and oil and gas markets, Shawcor Connection Systems group's product line of specially designed low voltage products includes medium and heavy wall heat shrink tubing, cold shrink tubing, electrical tapes, wraparound sleeves and a range of specially configured kits. 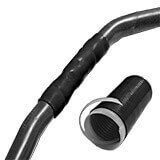 The CSS series cold-applied splice-sealing products are made of specially formulated silicone rubber that offers excellent insulation and moisture-proof sealing for in-line cable connector systems or elbow-to-cable-jacket applications. The rubber sleeves are factory-expanded and held over a removable, plastic rip-core housing. They install quickly and easily.